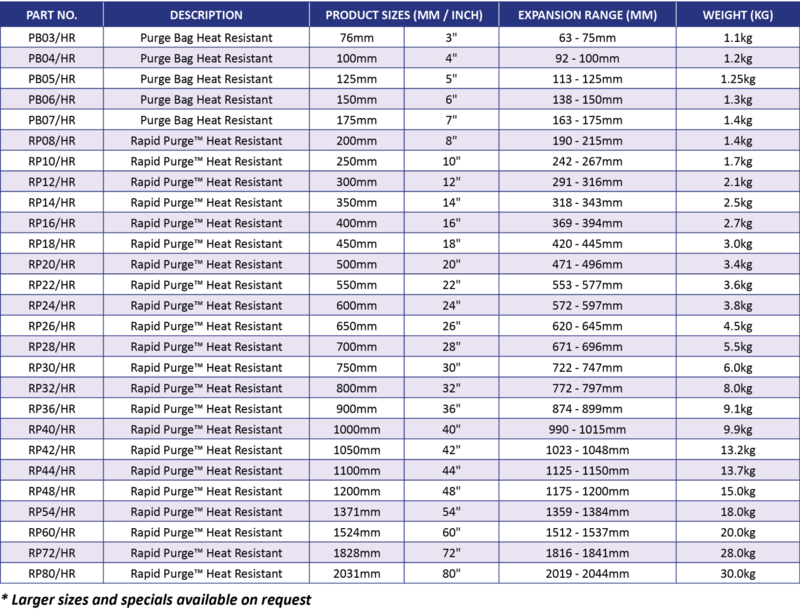 The TAG Pipe Purge Bag and Rapid Purge Systems are both available as heat resistant versions. Designed for use when high temperatures will be encountered during the process of pipe welding; such as pre-heated pipework, and pipes where very high temperatures are required for welding. 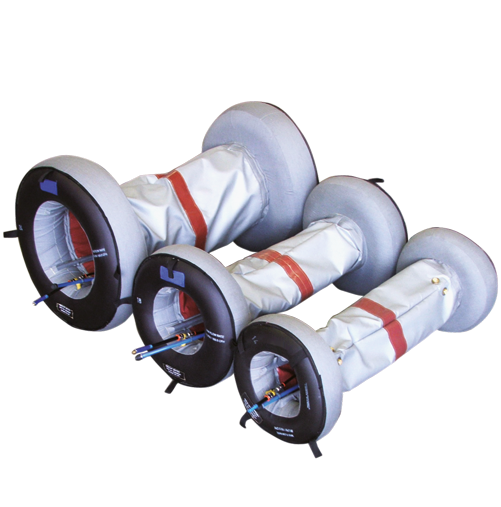 These versions of our inflatable Pipe purging systems are heat resistant up to 350?C (572?F) for up to 24 hours, or up to 500?C for short periods of time, as with the standard systems, the heat resistant systems are available for all pipe diameters from 3 to 80" (75 to 2044mm).